1. Click the Documents tab and View Documents sub-link. 2. Select your view using the menus. 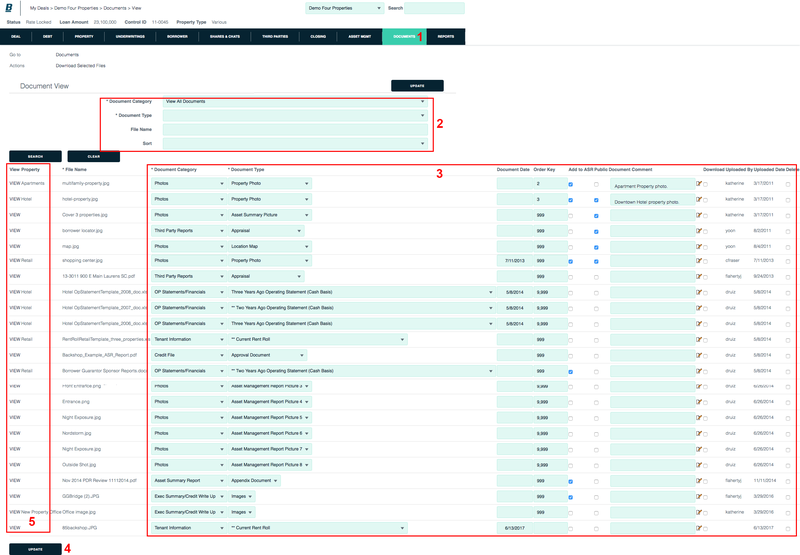 You can see all documents or filter by category and type. 3. Enter or add information including document category, document type, sort order, public viewability and comments. 4. To save your changes, click the Update button. 5. To download a document, click the view link. 1. Click the Documents tab and Checklist sub-link. 2. 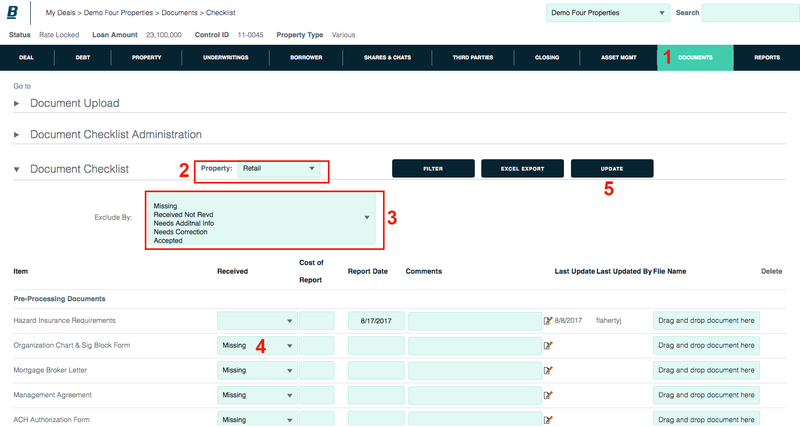 Verify that proper property is selected in the property menu. 3. If desired, filter your view so only certain documents are displayed (the full list contains more than 75 documents). After you make your choices, click the Filter button. 4. In the list of matching documents, update any received statuses, report costs, report dates or comments.